Let’s start with the basics…what are scripts? These guys save time through automation but also help you keep an eye on the account for missed opportunities or issues. Scripts are found in the Tools section of the UI. Scripts are found in the tools section. How do I launch them? Customize it by changing reporting timeframes, add in a Google sheet as the destination of the report, and insert your email to get the report. If the script works directly within the UI, simply click on the logs page for the information. If no spreadsheet is needed, information will be available in the Logs section. In a word, yes. 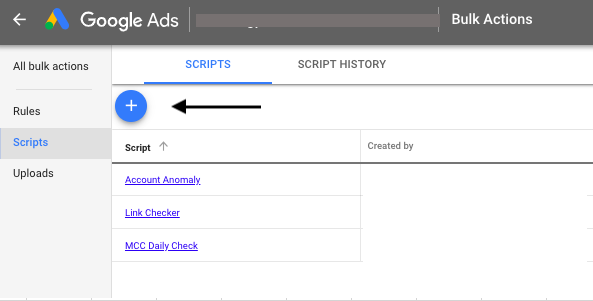 I believe all users of Google Ads should leverage scripts because they automate, oversee, and optimize accounts. We’re only human, right? It’s good to have an extra set of eyes, so to speak, to make sure we’re creating the best performance possible. Below are my top 4 scripts that are easy to implement and are high value in regards to account oversight. However, there are so many scripts out there and range from bidding optimizations to alerts to pausing keywords/ads to competitive analysis. We’re talking there’s a script that bids up or down depending on the weather or if your TV commercial ran. Literally anything you can think of, there’s probably script for it. 1. Account Anomaly – This script uses historical data and sort of smooths it out to detect anomalies. The lookback is typically 26 weeks, but you can edit within the script. If impressions are too low or clicks are very high, it’ll send an alert via email to the user. 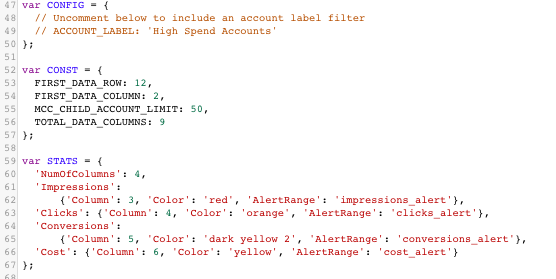 This script uses Google Sheets, so even if there isn’t a high enough discrepancy to send an alert, you can still look at the data. 2. Link Checker – Whether your site is 3 pages or 45 pages, this is a great script to let you know if there are any 404 errors. This is especially great if you don’t manage the site yourself when pages can be created or removed without letting you know. This script goes through all active ads, keywords, and sitelinks to check their URL’s do no have error responses. If there is an error, you’ll get an email and can quickly fix the issue. 3. Daily Performance Monitor – If you’re working on a variety of accounts, this script from Optimyzr produces a dashboard of day over day, week over week, and month over month view of a variety of metrics, including conversions, clicks, impressions, and cost. It’s a great way to start the work day and have a quick view of all your accounts. 4. Quality Score Tracker – Ah quality score, everyone’s favorite mystery metric. Within the Google Ads UI, you can’t trend quality score. However, you can use this script to store the data over time, thus producing a trend. It’s great to see if those ad copy updates, bid changes, landing page changes, etc are positively affecting quality score. BONUS: This script points out which keywords have low quality score and are wasting your cash! Scripts shouldn’t be a daunting tool to use in Google Ads, and we hope we provided you with a foundation to get started. 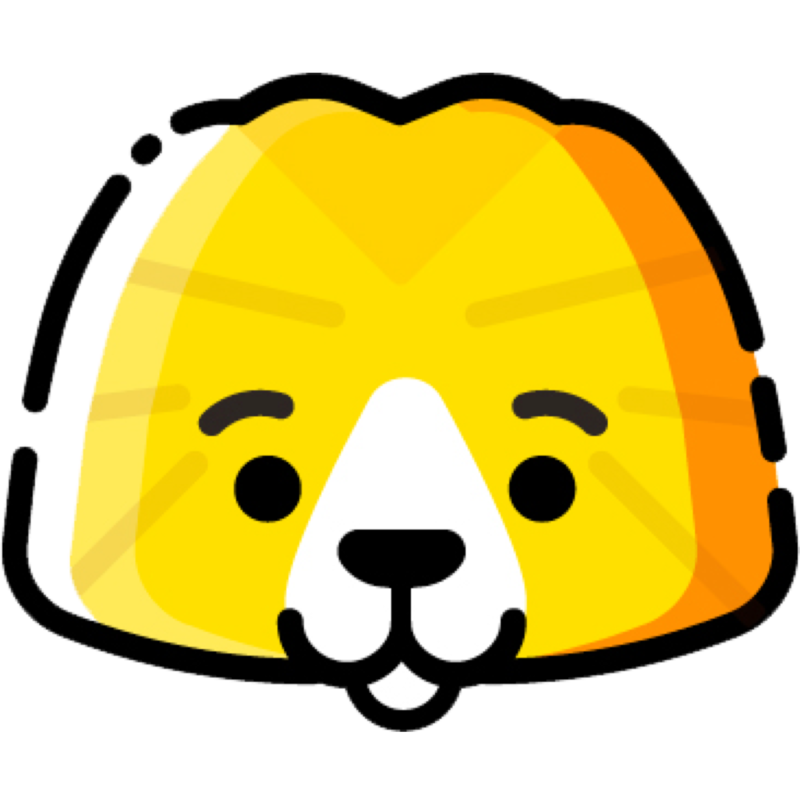 We’ll be rolling out a scripts library here at SearchSprints soon to help fellow marketers automate and oversee their accounts, so keep a look out!